South India is one of the most alluring and exotic destinations on Earth. It’s a dazzling mix of incense and romance, temples and tea, curry and coconut. 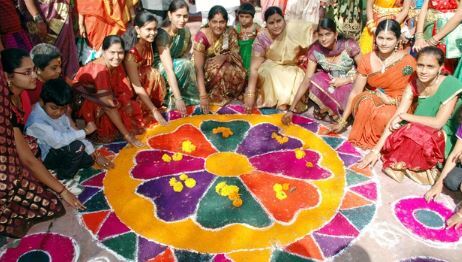 This 2016 South India Festival & Culture Tour will introduce you to the best of everything here; highlighting the uniqueness of the South with a visit to Pongal, a traditional regional harvest celebration and festival, and a special focus on the rich culture and culinary traditions in Tamil Nadu and Kerala. Arrive in the eastern city of Chennai, making your way south to Mahabalipuram, home of world renowned stone carvers and ancient stone temples overlooking the Bay of Bengal. Witness the Pongal Festival, celebrating the rain god Lord Indra and the sun god Kolam with elaborate artworks and painted cattle, traditional dancing and singing, bonfires and feasting. Hop a short flight to Tiruchirappalli (or Trichy), one of Tamil Nadu’s largest cities and visit the impressive Rock Fort that presides dramatically over the town. Continue on to Thanjavur, a city which rose to glory during the late Chola period, well known throughout the world as home to Brahadeeswara temple, the magnificent palace, Rajah Serfoji’s Saraswathi Mahal Library, it’s art gallery and as a treasure of exquisite art and handicrafts for centuries. Drive to Chettinad and visit the foremost temple in the world devoted to Vishnu, Srirangam and learn to cook a traditional Chettinad meal served on a fresh banana leaf. 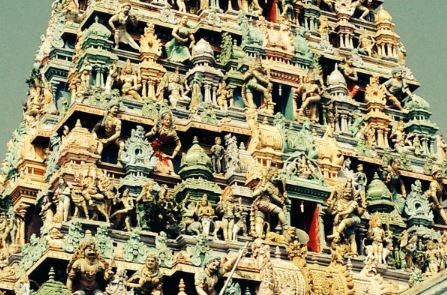 Move your way through Tamil Nadu, to Madurai where you will visit the Meenkshi Amman Temple, which has just undergone a recent, extensive renovation taking nearly a decade. Witness the evening prayers here and feel the energy of this powerful site visited by thousands of Hindu pilgrims from all around India every day. Head west over the ghats, toward Kerala. Stop in Thekkady where you will take a boat ride on a peaceful lake and taste your way through a spice plantation, peeling cinnamon bark and sampling peppercorns off the vine. Take a cooking class with a Keralan chef at your hotel and discover the uniqueness of the regional cuisine. Spend a peaceful night aboard a kettuvallum, a traditional houseboat, where you will relax and discover some of the best seafood in South India–a highlight on our 2016 trip! A local family will welcome you into their home and give you a traditional cooking demonstration and show you their culture and customs. 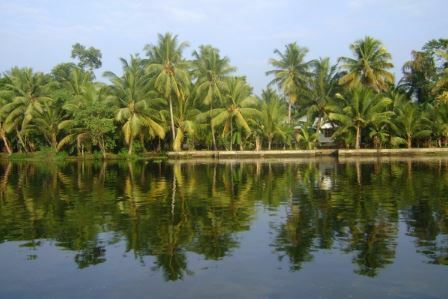 There is really no better way to truly experience South India! Explore the historically rich town of Cochin, watching local fisherman pull up their nets and cruise through the centuries old spice markets where Marco Polo once roamed! On your final night enjoy a special farewell dinner followed by a performance of Kathakali, a spiritual dance. On this trip you will have the opportunity to learn to cook and eat the very best of South Indian cuisine as well as visit some of the most culturally interesting temples and cities in this 13 day/12 night itinerary. Choose your own private dates (minimum two participants) or join this trip January 15 – January 27, 2016. Note: Single Supplement: $775 USD (Small group supplement of $550 USD per person will apply for group size of 3 to 5 participants) Private departures for 2 or more participants available. Always want to learn their culture. Cultures are some of the best benefits to traveling!